A degree of mystery is always an attractive ingredient in the life of a blues singer and sometimes lends credence to the often misapplied description "THE LEGENDARY". Much has been written Ilabout Charley Patton. The memories of those who knew him have been dredged wholesale and dedicated researchers have ferreted out from official archives the few meagre records documenting his life. He has been the subject of innumerable interviews, magazine articles and sleeve notes and is one of the few blues singers of his generation to be memorialized in a full-scale biography. Yet despite all this attention, he remains an enigma. There is not even certainly regarding his date of birth. May 1st 1891 is sometimes noted, but you can also get votes for April of that year or even 1887. Patton's biographers, Calt and Wardlow note that Patton's sister supplied the 1887 date while his parents supplied the 1891 date for a census in 1900. And how do you spell his name: Charley or Charley? In all probability Charley himself did not know his precise age, but Son House reported that he did know his name, which he would spell "C-H-A-R-L-E-Y", out loud - but that was all he could spell and he couldn't write even that. Other contentious facts regard his exact place of birth: Edwards or Bolton, Mississippi, (as the two towns are so close together they are virtually one, the question remains academic). 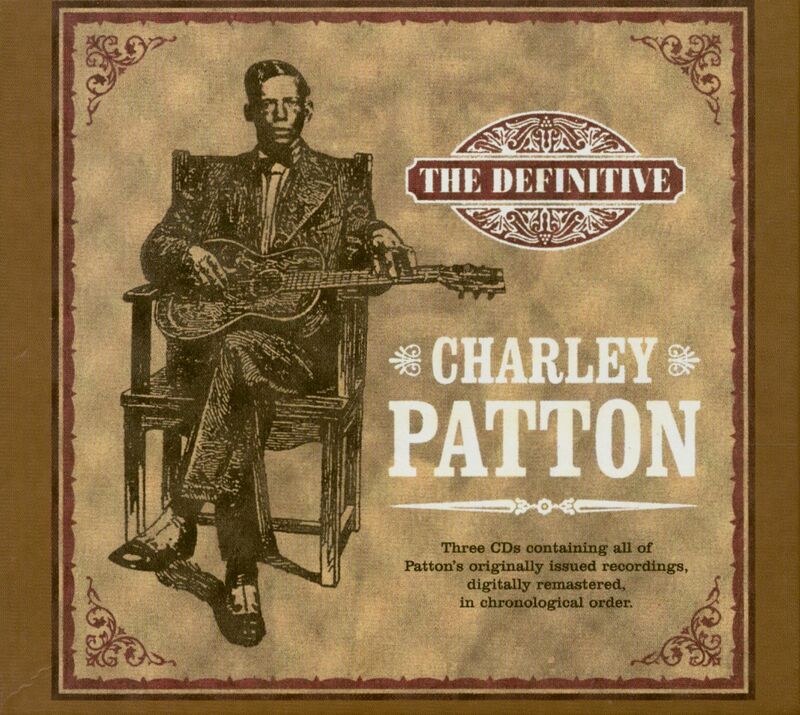 And the identity of his father -was Charley, as has been claimed, a sibling of the Chatmon brothers of Mississippi Sheiks fame? What is fairly clear is that Charley's forebears included both whites and native Americans. Undisputed is his pre-eminent status as one of the most influential of the first generation of rural black entertainers to commit their work to record. However, there is a variation of opinion regarding the depth of his involvement with the blues and the degree of their importance in his over all repertoire. 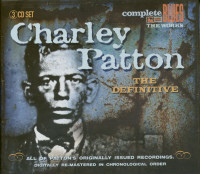 There is a possibility that his recorded work contained more blues than his live performances. Patton's recording sessions were controlled by profit conscious executives who saw blues being in vogue and more importantly, selling. Did Patton view himself as a chronicler and commentator on the world around him - or just as an entertainer who would do anything rather than work? In the view of the compilers of these notes these two roles were not mutually exclusive and Patton could satisfactorily fill both at one time. 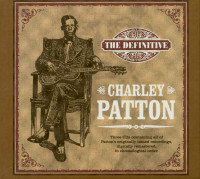 Despite his huge voice, all accounts agree that Charley was of slight stature, weighing in at around 135 pounds. He was light-skinned and had 'good' hair but could be cocky and aggressive. He liked to drink, snort coke and chase women, advertising himself as a Delta dandy by always dressing as well as he could afford to. The reactions of owners who found Charley on their plantations ranged from welcoming him as a contribution to the contentment of their workers to throwing him off the property as a shiftless, negative and disruptive influence. He sang his fractures and usually fragmented verses in a heavily accented growl that has been the bane of those striving to transcribe his words ever since, and even defeated his contemporary audience from time to time. His act was so noisy, physical and visual, involving much clowning, as he threw his guitar around and played to his audience. In the over heated and alcohol fuelled atmosphere of the jukes, his combination of attractiveness and arrogance led to many encounters with enamoured women - and not a few assaults from outraged men. One of these, in 1933, left Charley with a slit throat and damaged vocal chords which identify the results of his last appearance in a recording studio. Patton's recording sessions were controlled by profit conscious executives who saw blues being in vogue and more importantly, selling. 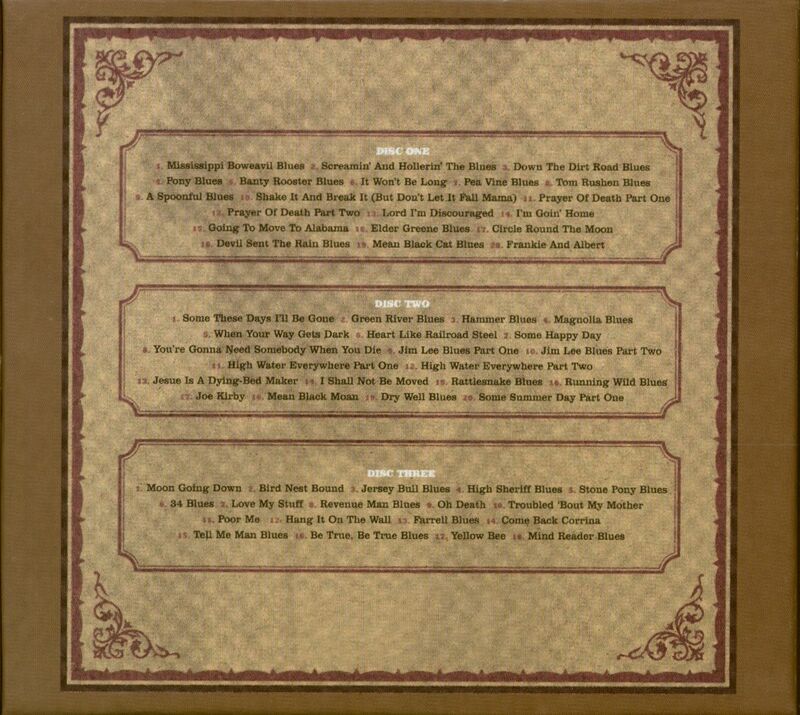 Customer evaluation for "The Definitive (3-CD)"